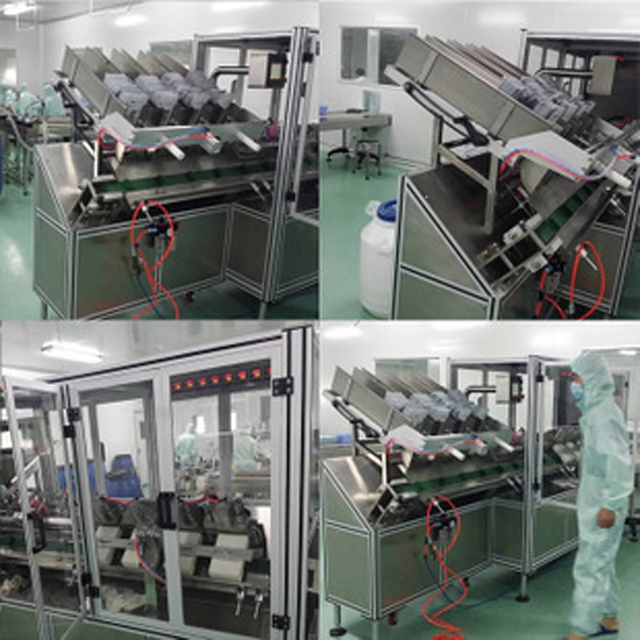 This mask packing machine is special designed for fully automatic mask bag loading, filling, bag sealing and mask bag production date printing. 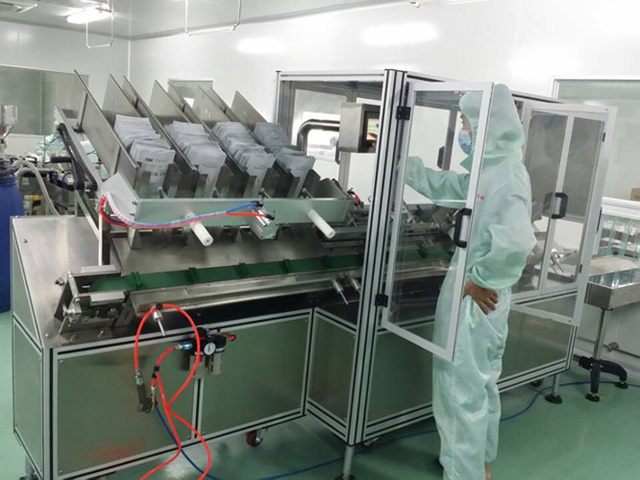 Our machine comes the first to make machine intelligence come true among the facial mask manufacturing machinery. 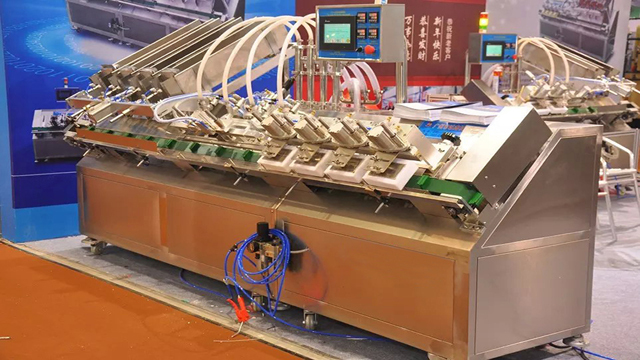 It’s intelligent mechanization production to put facial mask production line into a new areas.The machine intelligence automatic program processing the problems during production (such as bag unloading and opening.automatic discharge when problems appear in the filling ,the machine will automatic discharge, t then on the back of the station is not filling, not sealing, not coding, then the machine will automatically sort it out into the processing box, after manual review recycling on the production,the cost is savings.Qualified products automatic output from export machine),continuous production without machine downtime, that’s save the time of the artificial discharge mechanical failure, and improve the production capacity of production line. 1. 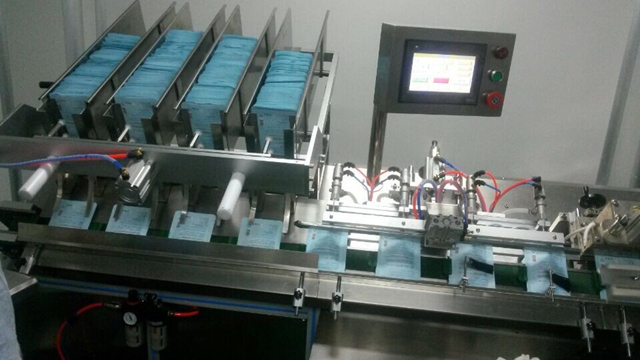 Automatic bag feeding, liquid filling, sealing, printing and bag out feeding. 2. 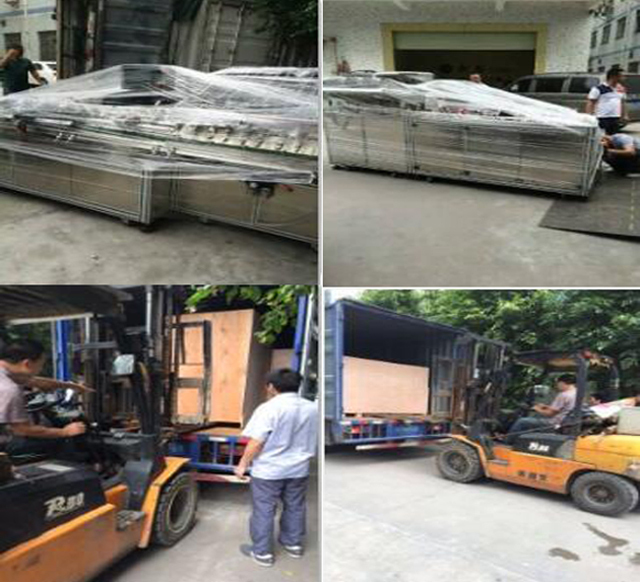 All contact parts are made from 316 Stainless Steel, complying with GMP requirements. 3. 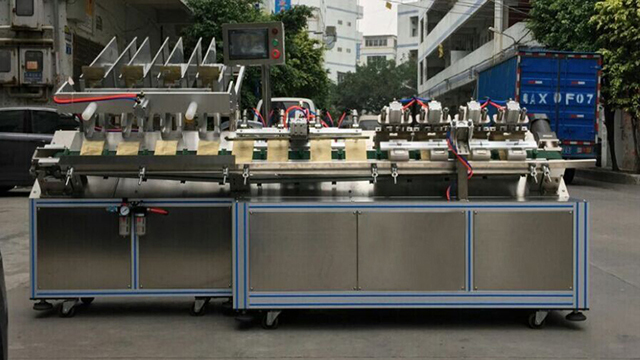 Variable filling machines can be chosen for different filling material. 4. No bag, no fill, no bag, no seal. 5. PLC combined with touch screen control system. Parameters and operation can be done in the panel. Production output and the error message can be easily seen from the screen. 7. 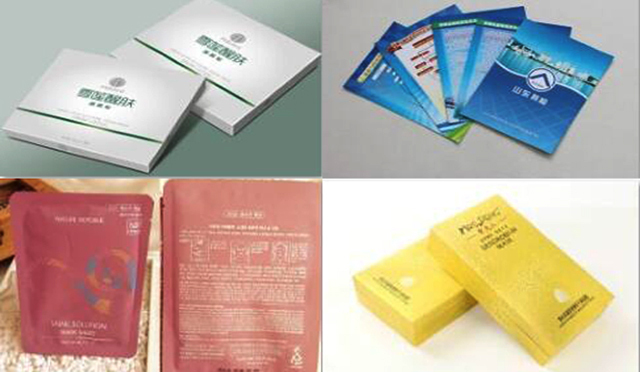 Selected electric and pneumatic components from reliable international manufactures.